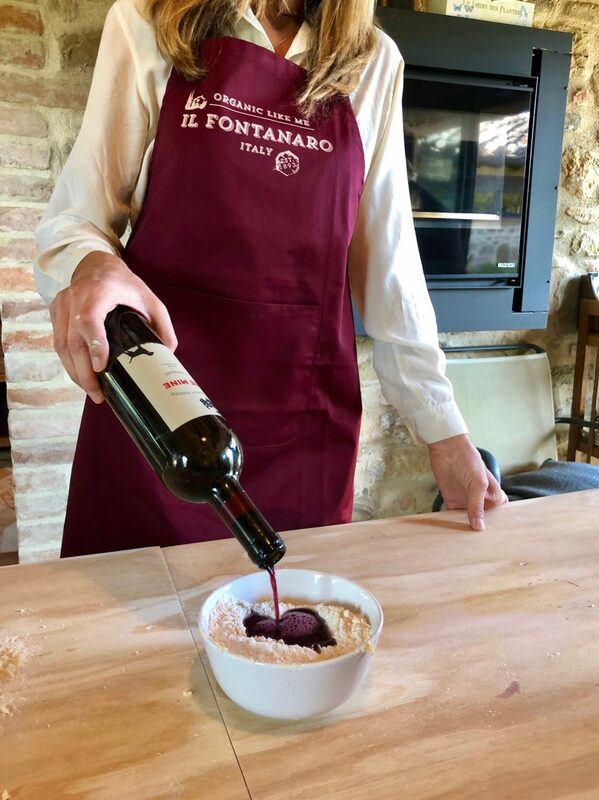 During our stay at Il Fontanaro organic farm and villas we also got a chance to experience the art of Italian slow cooking. 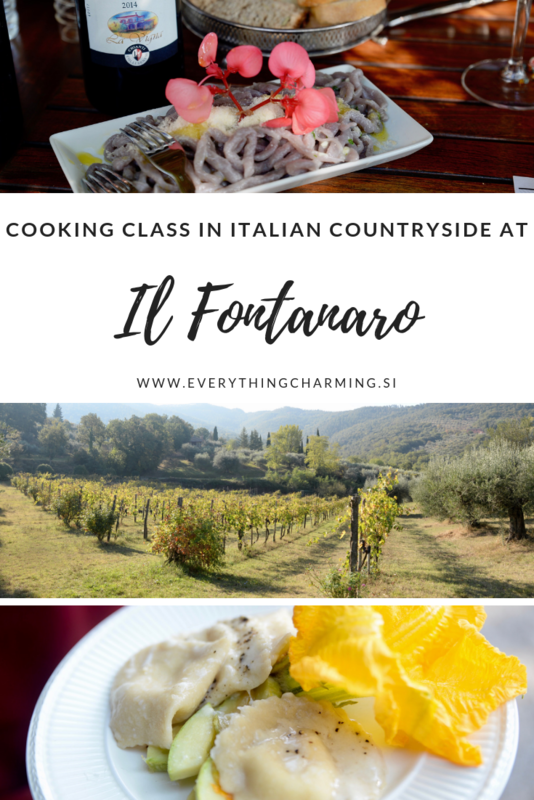 We were lucky enough to participate in a half day cooking class which takes place at beautiful Il Fontanaro farm. 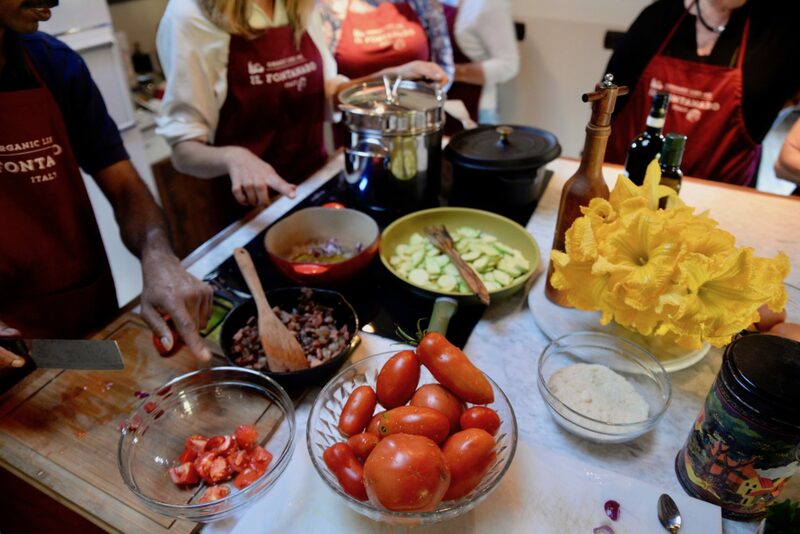 The cooking class is lead by talented Alina who is eager to show you how simple and delicious Italian cooking can be. We learned that you don’t need a lot of complex ingredients to come up with a mouth-watering dish. The key is to use only a few quality ingredients (maximum five per dish), which are possibly home grown and organic. 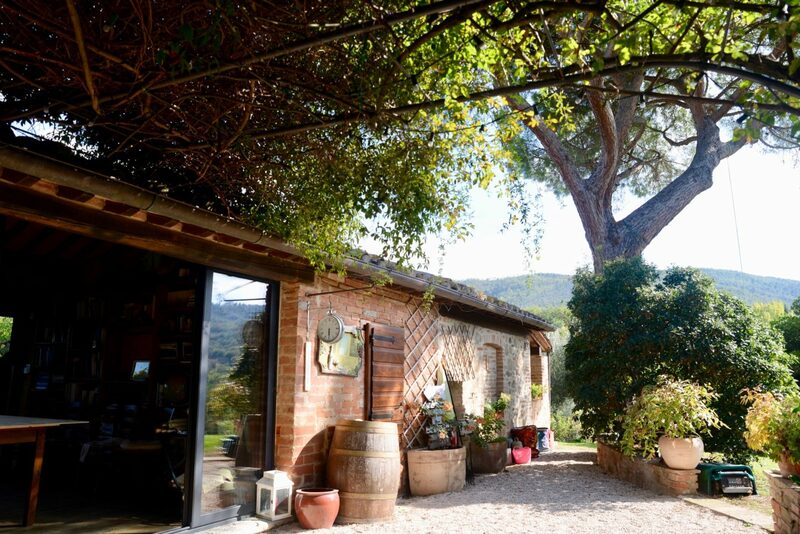 Il Fontanaro produces its own wine, olive oil, honey, as well as, all of their fruit and vegetables are home grown. 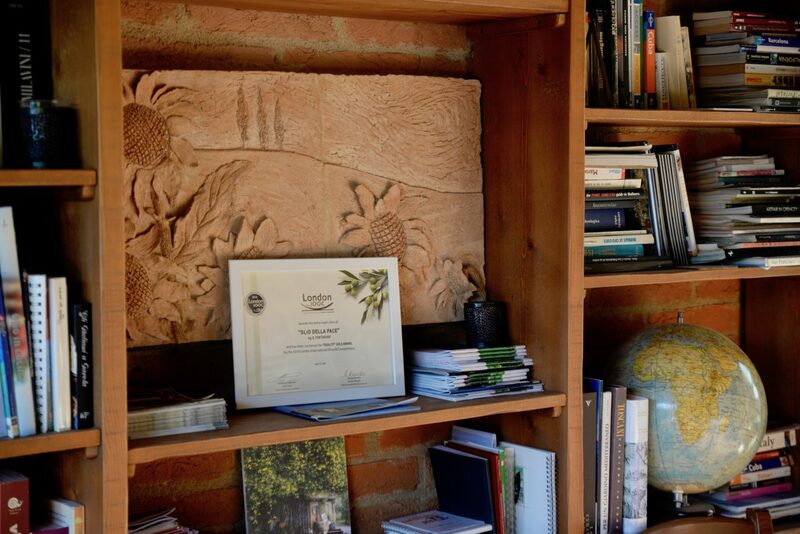 The whole farm is also self-sufficient, as they use solar panels to keep them eco-friendly. 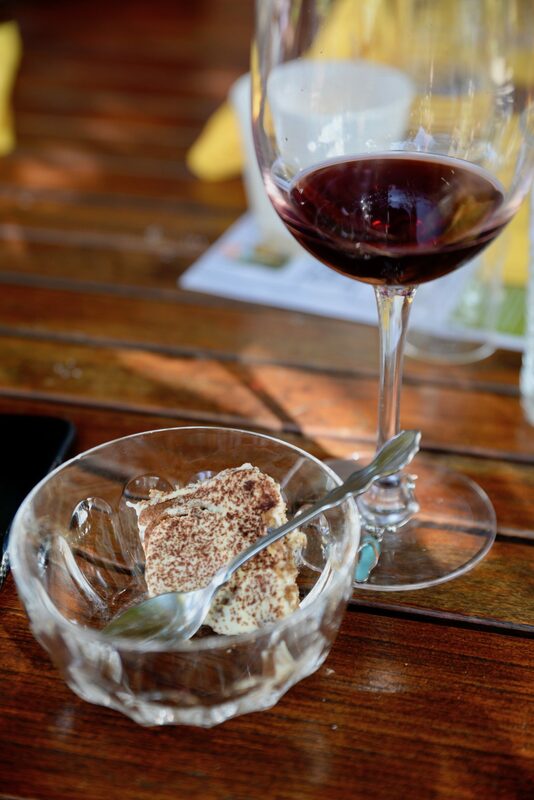 Il Fontanaro is all about using organic, home grown ingredients. 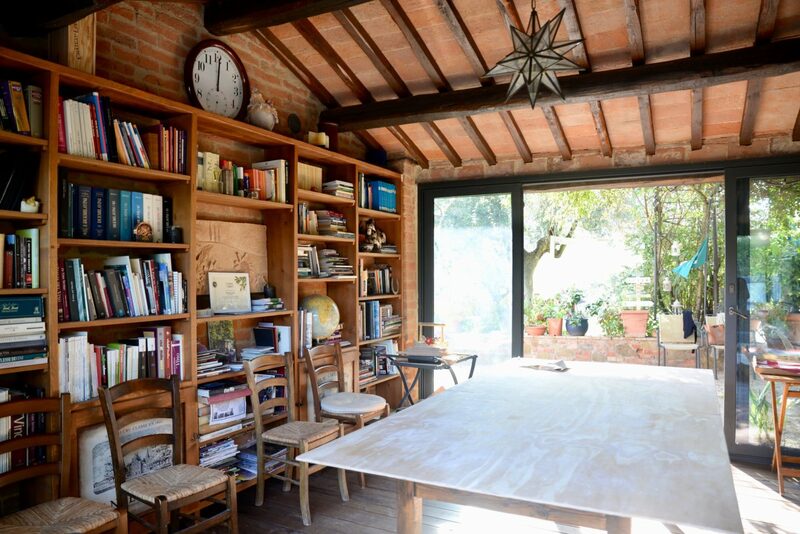 Beautiful setting where the cooking school took place. 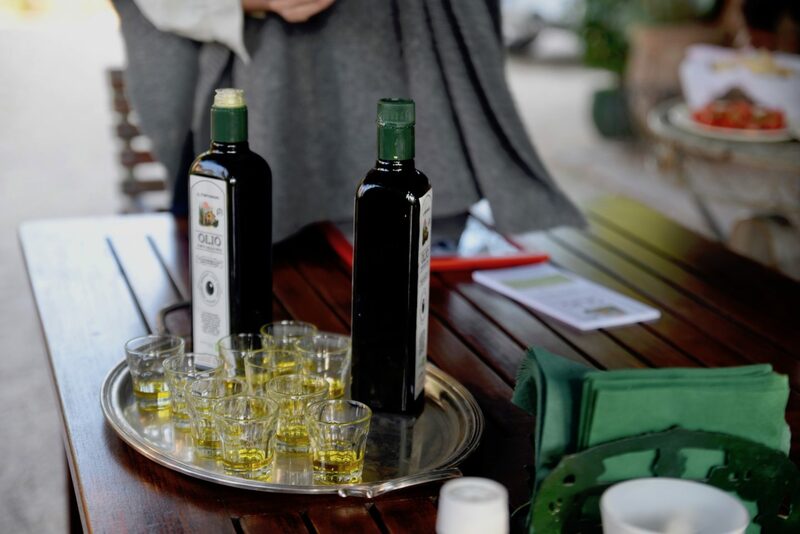 We started our slow food cooking experience with olive oil tasting. 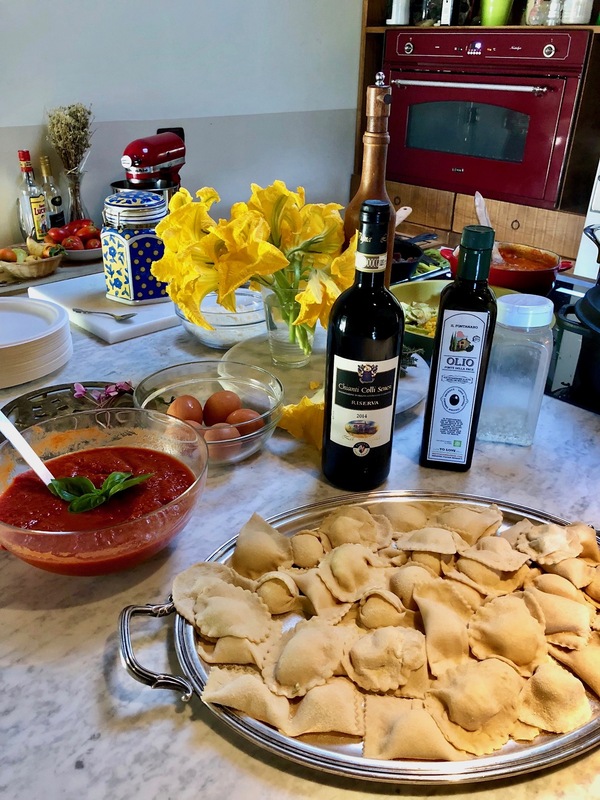 We tried their prize-winning Olio della Pace (Olive oil of peace) and learned the health benefits of it, as well as how to distinguish a quality olive oil from non-quality one. This part of the whole cooking experience was the most educational for me and also eye opening. 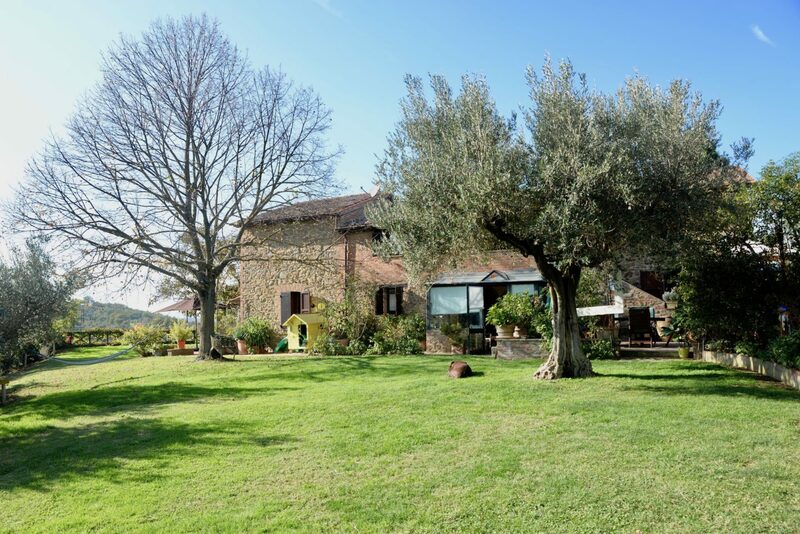 ‘Supermarket’ olive oil simply cannot compare with an organic traceable olive oil. 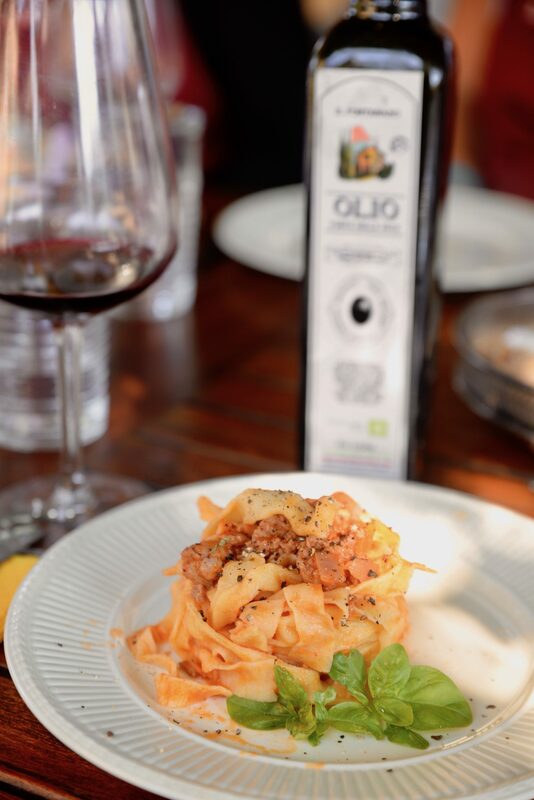 Not only does it lack in taste, but it also does not have all the health benefits quality olive oils have. 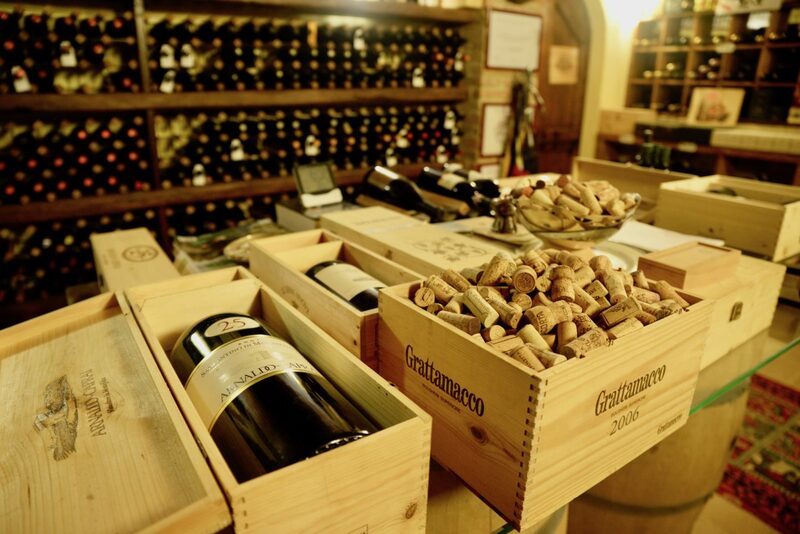 Because of its health benefits Il Fontanaro believes olive oil should be sold in pharmacies! We even used wine to make pasta. 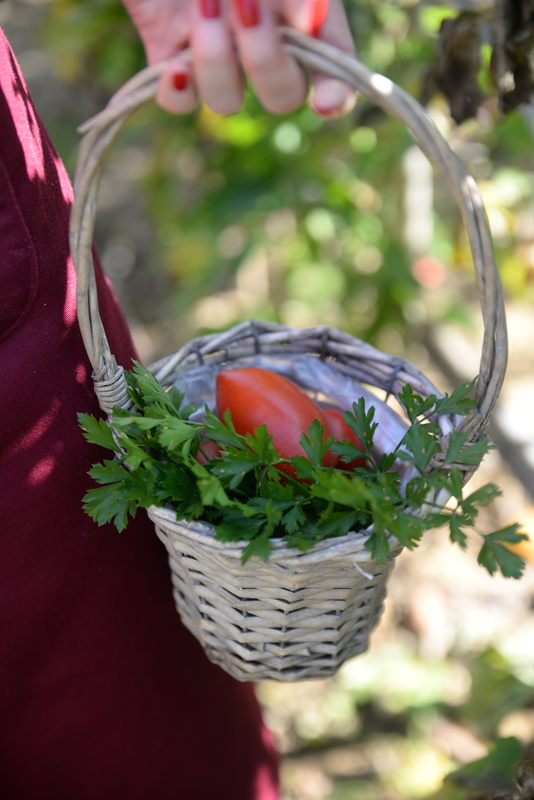 We continued with picking some home grown vegetables from their own garden. All of these organic ingredients, such as parsley, tomatoes, lemon, zucchini, etc. were then used in our dishes. 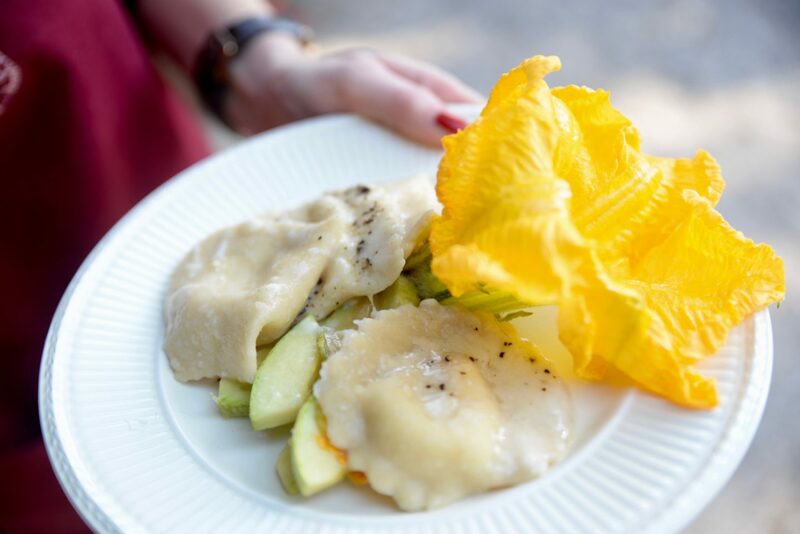 My favourite dish: Ricotta and zucchini ravioli. 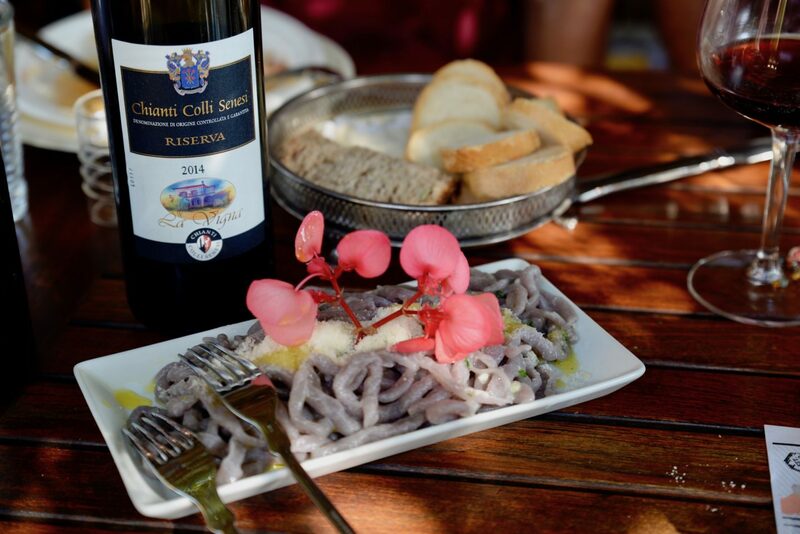 Delicious red wine ‘pici’ pasta. 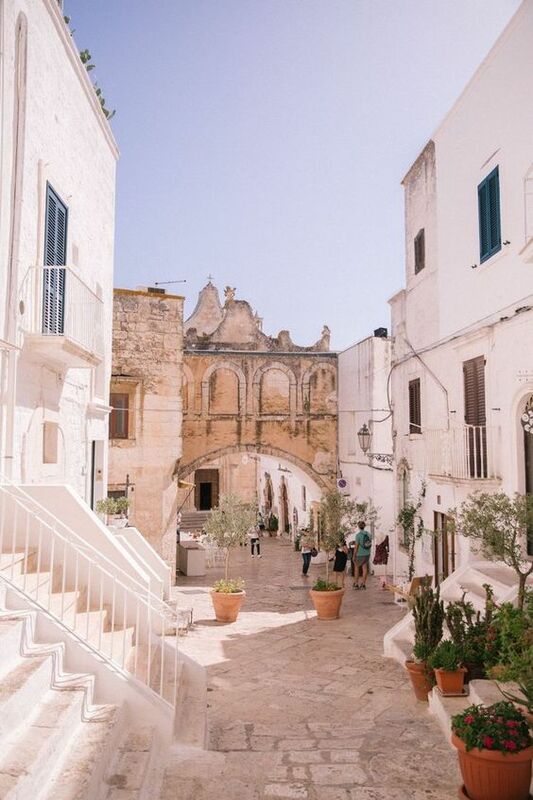 The prices start at 100 EUR per person for 4 hours. 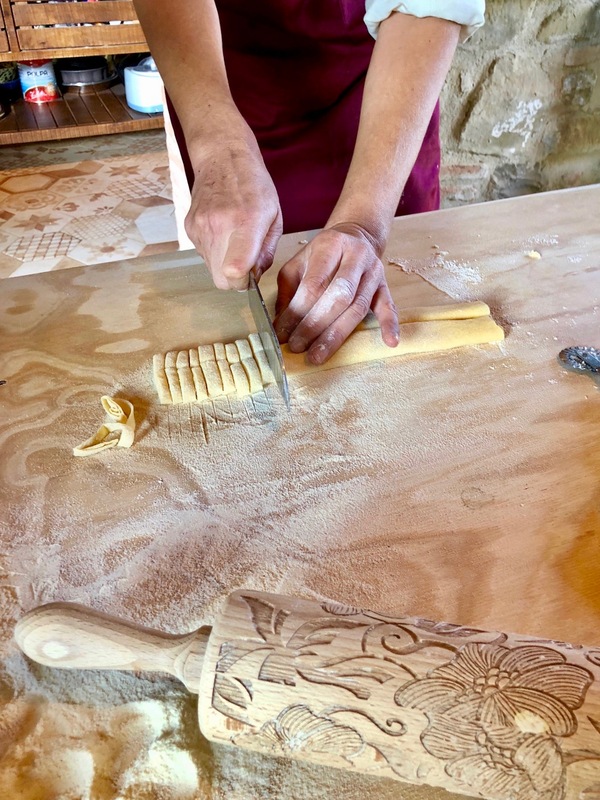 The price includes olive oil tasting, local red wine, the experience and learning how to make different types of pasta (or different dishes, depends on the season and wishes of participants), desserts and other useful tips. Furthermore, you get to eat everything you have cooked, and that is at least a five-course meal. 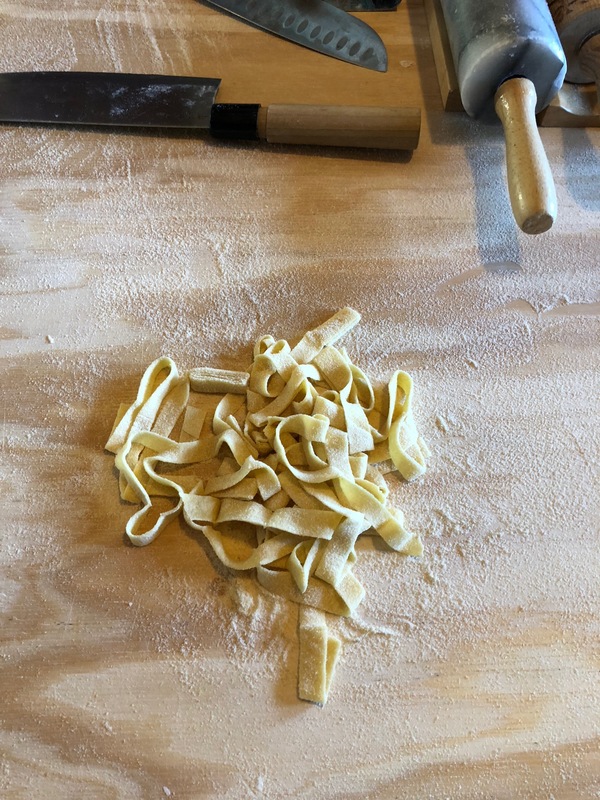 Even though it was our first time making home made pasta it turned out so good! Alina was a great mentor and she really knows her way in the kitchen as all the dishes were simply exquisite. 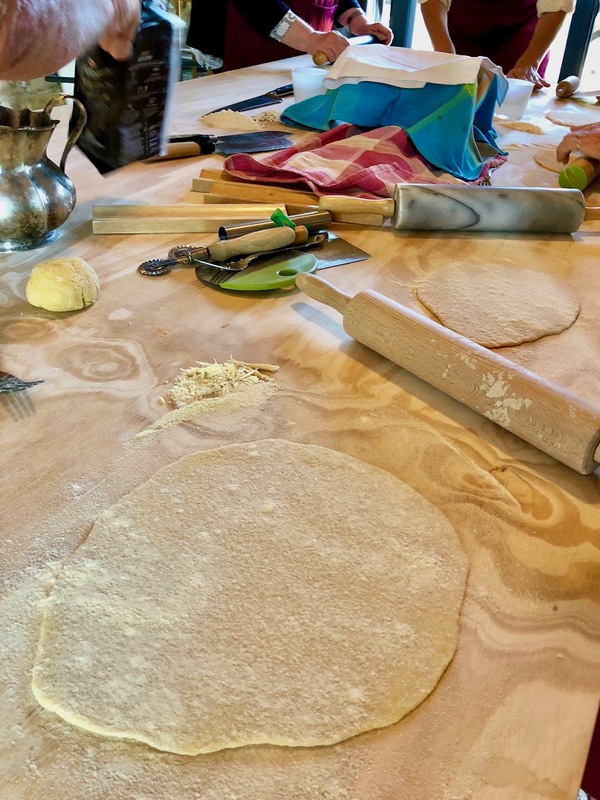 In the whole cooking experience I can say I personally learned a lot. 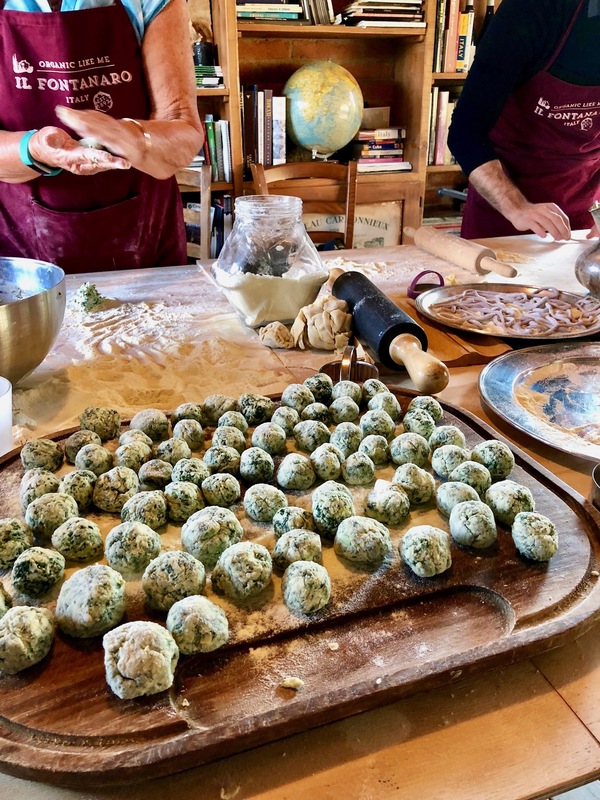 A lot about cooking, a lot about the ingredients, olive oil, and mostly about the art of slow living. We thoroughly enjoyed it and would like to thank Alina for all her knowledge and kindness.